More Edna this week. Another poem from her first collection, Renascence and other poems. Week 2 of the great bookshelf project. Yacker & Yacker 2 are books of interviews with Australian writers by Candida Baker. 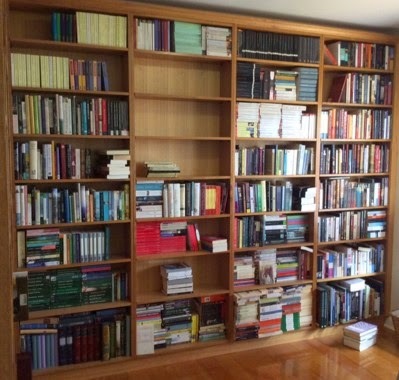 Published in the 1980s, she interviewed Helen Garner, Thomas Keneally, David Williamson & David Malouf as well as a previous generation of authors now gone - Ray Lawler, Sumner Locke Elliott, Marjorie Barnard & Christina Stead. Miss Hargreaves by Frank Baker is there thanks to Simon from Stuck In A Book. No book has every had a champion as passionate as Simon so I had to buy a copy. Unique to Australia by Beatty (about flora & fauna) was a school prize I won for a spelling bee in Grade 5 in 1973. 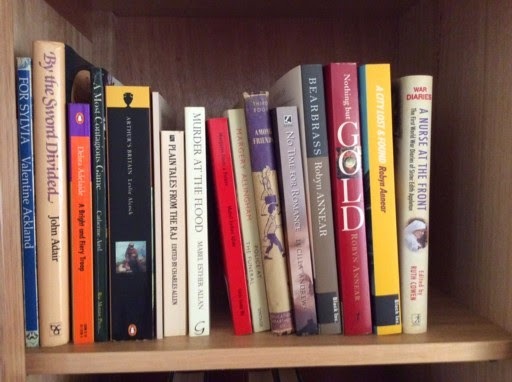 There's also my original Virago copy of Nicola Beauman's A Very Great Profession, the book that began the Persephone phenomenon. Also Bede's Ecclesiastical History of the English People. I read this before I went to the UK in 1999 & it sparked my interest in the Anglo-Saxons. I recently discovered a beautiful blog by A Clerk of Oxford, about the Anglo-Saxons. It's a fascinating mix of poetry, history & stories of the Anglo-Saxons & Scandinavians illustrated with manuscripts of the period. The blog won the History Today award for digital history this year. I picked up the ancient copy of The Search for Bridey Murphy by Morey Bernstein in a second-hand shop. I'd been fascinated by the Bridey Murphy story ever since I read about it in a Reader's Digest collection. It's a classic reincarnation story (made into a film starring Teresa Wright) about an American woman who regresses under hypnosis to another life in 19th century Ireland. It's been pretty well debunked now, I think, but I love reincarnation stories. A foggy November night in London. In Laurence Newtree's studio, a party is about to begin. Newtree's friend, John Christmas, is there & Christmas has brought along novelist Serafine Wimpole & her slightly dizzy aunt. Philanthropist Sir Marion Steen, suave psychiatrist Dr Simon Mordby & Dr George Merewether complete the party. Newtree is a celebrated cartoonist, but shy & easily overcome by awe for more confident personalities such as Miss Wimpole. His friend, John Christmas, fancies himself as an amateur detective, having assisted the police in a case or two. His father owns a department store & Christmas has no need to work. Serafine's aunt Imogen imagines that she's a nervous personality & Dr Mordby has made his fortune from women like her. Steen & Merewether arrive together & both of them tell a similar tale of being approached in the foggy street by a foreigner wearing a red fez, who asked them for directions to Golders Green. An indeterminate noise from the studio above, belonging to Gordon Frew, sends Dr Merewether up to investigate. He has attended Frew in a minor illness & insists on going alone. He soon returns, with a reassuring message from Frew that all's well & an invitation to the party to go up to his studio in half an hour. When they do so, they discover Frew dead, murdered, with a knife sticking out of his back. The police doctor believes that Frew has been dead for at least an hour but Merewether sticks to his story that Frew was alive & well half an hour before. Inspector Hembrow allows Christmas to assist with the investigation as they've worked together before. Merewether's position looks grim as he sticks to his story that Frew was alive half an hour before his body was discovered & Christmas begins an investigation into the murder & the life & character of Gordon Frew. Frew was an unpleasant man, a poseur who published books that he didn't write himself & aspired to be a collector of everything from Persian rugs to Oriental weapons. Several people visited him that night, seen by Newtree's servant, Greenaway, from the man in the fez to his valet, Greenaway's tearaway son, Ernie, & Miss Pandora Shirley, who modeled for Frew & had recently broken off her relationship with Ernie. Christmas dismisses Ernie & Miss Shirley early on & concentrates his attention on the mysterious man in the fez. However, it appears that Frew, besides being unpleasant & phoney, may also have dabbled in fraud & a little blackmail among other crimes. Christmas' investigations uncover more of Frew's background & the more he discovers, the more disreputable Frew seems to have been. The red herrings come thick & fast before Christmas & Hembrow make a surprising discovery that leads them to the solution of the mystery. I enjoyed The Studio Crime very much. The plot was incredibly convoluted but very entertaining. Jerrold certainly has a vivid way of describing characters & the psychological motivations of several of the characters were very interesting & well-portrayed. I particularly enjoyed Serafine Wimpole. I have a weakness for sensitive female novelists (I much prefer Harriet Vane to Peter Wimsey & wish Dorothy L Sayers had written more books with Harriet) & Serafine's no-nonsense character is shaken a little by her desire to save Dr Merewether from the consequences of his actions (as she sees them). Her quick thinking in an episode surely inspired by Wilkie Collins' The Woman in White is terrific & the interplay between Serafine & her aunt is a lot of fun. London in the gloomy fog is also very atmospheric & Hembrow & Christmas visit some very disreputable parts of the city in their investigations. Published in 1929, The Studio Crime was the first of two mysteries by Ianthe Jerrold, a member of a family of writers, journalists & actors. Ianthe Jerrold wrote many books over her long career & the success of The Studio Crime led to her being invited to join the Detection Club, the famous group of Golden Age crime writers that included Agatha Christie, Dorothy L Sayers & Anthony Berkeley. I've just started reading Martin Edwards' new book about the Detection Club, The Golden Age of Murder, & in the book, there's a photo of Ianthe Jerrold with E R Punshon, author of the Bobby Owen series (coincidentally about to be reprinted by Dean Street Press, publishers of Jerrold's novels). This edition of the novel also has an informative Introduction by Curtis Evans, who blogs at The Passing Tramp. Dean Street Press kindly sent me a review copy of The Studio Crime & I'm looking forward to reading Jerrold's other crime novel, Dead Man's Quarry. Edna St Vincent Millay is a poet I don't know very much about. I've read her poems in anthologies & always thought I should know more about her. So, when I saw a Dover edition of her poetry for about $3 at Clouston & Hall's website, I decided the time had come to investigate further. 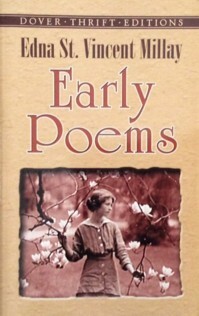 Millay was a poet from childhood, writing her first poem at the age of 5. This edition is a collection of her first three volumes of poetry, the first, Renascence and other poems, published when she was just 25. The title poem of that collection is wonderful, with echoes of Emily Brontë, Emily Dickinson & Andrew Marvell. It's too long to post but you can read it here. Many of the poems are about lost love, often about how difficult it is for the speaker to carry on without the loved one. They're grounded in the everyday, the domestic, which I love. In another poem, Interim, the speaker looks at the book left open on a table, the last words written by the beloved, remembers the first sweet pea of the season brought in from the garden, "'Twas much like any other flower to me, / Save that it was the first. I did not know / Then, that it was the last." I feel that I've discovered a new poet & want to read everything I can get my hands on. There's a biography by Nancy Milford, who wrote a biography of Zelda Fitzgerald that I read & enjoyed many years ago & I must buy some more of the poetry. Anything else I should read? 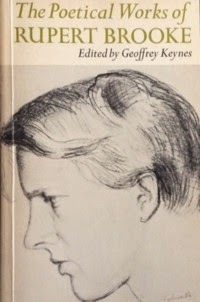 Any recommendations from the Millay fans out there? Eat I must, and sleep I will, — and would that night were here! But ah! — to lie awake and hear the slow hours strike! Would that it were day again! — with twilight near! 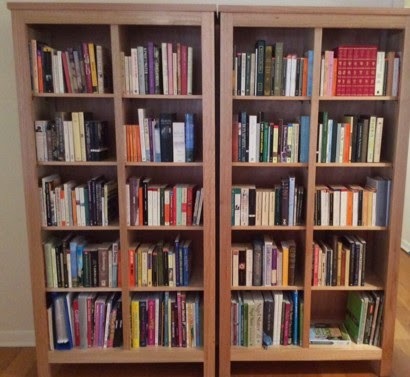 After unveiling my new bookcases last week, Rose & Lory asked for some close-up photos of the contents. I've also been inspired by Sue, who blogs at My Quiet Life in Suffolk. 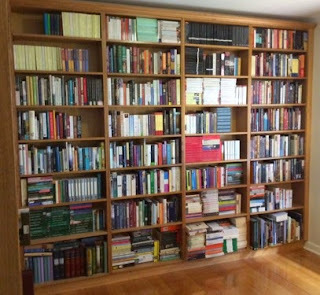 She posted pictures of all her bookshelves earlier this year & it prompted memories & stories of where she bought the books & when she read them. I'm sure many of us can remember the books we were reading at significant times of our lives when the details of what we did last Tuesday are irretrievable. 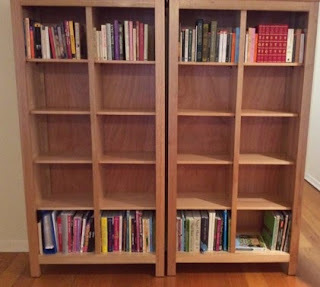 So, as a good librarian should, I'm going to begin at A & post a shelf each Thursday. (I hope the pictures are big enough for you to read the titles. I didn't want to make them any bigger because the page then takes too long to load). I read this copy of By the Sword Divided by John Adair many years before I finally saw the TV series that was partly based on the book. Among Friends was my school reader. My favourite story was about two children who get to know an old lady living in a tumbledown house. They'd always thought she was a witch but, when she lets them pick the peaches from her tree & gives them lemonade, they become friends. I love it because it's set at Christmas, a hot Australian Christmas. I could always smell the warm peaches as I read. I don't read a lot of Australian history but Robyn Annear's books are always well-written & enjoyable. Bearbrass was one of the early names for Melbourne. Lots of English history here. When I was a child, Mum took me into the city once a year to see an eye specialist in Collins St. There was a bookshop that I always had to go into & Dulcie M Ashdown's Ladies in Waiting was the book I always took off the shelf & coveted. I couldn't afford the book until some years later. I'm not sure how I managed to be seeing a Collins St specialist (Melbourne equivalent of Harley St) as we weren't well-off but I was & I always wanted this book which I finally bought. Theo Aronson was another favourite Royal biographer from around the same period. Also, Karen Armstrong's memoirs of being a nun & afterwards - stories about nuns have always fascinated me. & the end of the Austen collection. 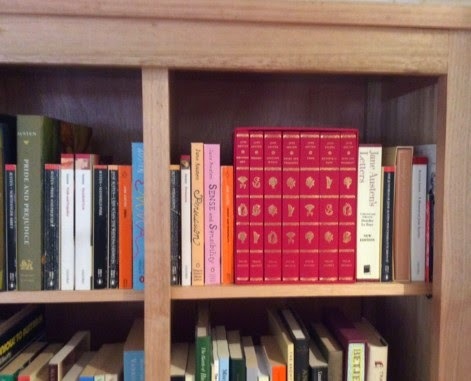 As you can see, I have no problem owning multiple copies of the same book. 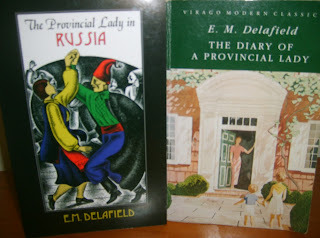 The Folio Society set have lovely woodcut illustrations by Joan Hassall & I am a fan of the Penguin Deluxe editions. Forensic archaeologist Ruth Galloway is excavating a possible Bronze Age cemetery when she's called to a nearby field to examine the remains of a WWII plane. The pilot's body is still in the cockpit but Ruth soon realises that he hasn't been there since the 1940s. DNA testing reveals that the pilot was related to local landowners, the Blackstock family. The family knew that Fred Blackstock had been killed in a plane crash during the war but thought he had crashed at sea. His body was never recovered. So, where has Fred's body been for the last 70 years & why is there a bullet hole in his forehead? DCI Harry Nelson & DS Dave Clough investigate Fred's death & meet the present day members of the Blackstock family, still living at the lonely family farm near the crash site. Fred's brother, Old George, is still alive & living with his son, Young George & Young George's wife, Sally. George & Sally's son, Chaz, has started a pig farm on some of the family land, & their daughter, Cassandra, is an actress, recently returned home. The land where the plane was found belonged to the Blackstocks but has recently been sold to a developer. The construction work on the new estate uncovered the plane.Old George is the only member of his generation left. His older brother Lewis disappeared after the war & Fred had moved to the United States before the war & was thought to have been killed in a plane crash after joining the US Air Force. The Blackstocks seem to be an unlucky family. Old George's mother said the land was cursed & that the sea would reclaim it one day, before drowning herself & Old George himself has become quite odd in his old age, his "funny turns" only whispered about by the family. Further complications arise when a TV company wants to use Fred's story as the focus of an episode of their new series The History Men, looking at historical events through the personal stories of those involved. Fred left a wife & daughter in the States when he was killed & his daughter, Nell, travels to Norfolk for his funeral & to meet the family she barely knows. She's also agreed to appear in the TV program. At the funeral, a mysterious man with long grey hair appears & soon after, Cassandra is attacked in the churchyard. The investigations into Fred's death lead Nelson to suspect that one of the Blackstocks was responsible for moving Fred's body from its original burial place to the cockpit of the buried plane. He also suspects that one of the family was responsible for Fred's murder. I love this series. It's an absorbing combination of archaeology, history & police procedural but, above all, it's the characters that make the series so compelling. Ruth & Nelson had a brief relationship that resulted in their daughter, Kate. Nelson has stayed married to Michelle, the mother of his two daughters, although he feels a protective concern for Ruth & Kate. Ruth has had half-hearted relationships with a couple of men (Frank Barker, the American historian Ruth met in the last book, returns to Norfolk with the film crew in this one) but she loves Nelson, even though she knows he won't leave Michelle. Nelson's team - Dave Clough, DS Judy Johnson & newcomer Tim Heathfield - all play an important role in the story although it's their personal connection & loyalty to the team that is paramount. Clough is the rough diamond of the team, rescuing Cassandra Blackstock from her attacker, & surprised by his own involvement in the Blackstock story. Judy Johnson is now living with Cathbad, Ruth's Druid friend, & very pregnant with her second child. Tim is a good policemen but there's something reserved in his manner that hints at a secret that prevents him bonding with his colleagues completely. I enjoyed all the personal subplots, especially the fact that Cathbad's predictions about future events, usually foolproof, prove to be way off the mark on a couple of crucial points. Ruth is such an appealing character. She is always doubting her abilities as a single mother & dithering about her relationship with Frank; resenting Nelson's picky comments & over-protectiveness, yet wanting him to be part of Kate's life, & her own. The Norfolk landscape is the other attraction. The loneliness of the marshes where Ruth lives & the coastal areas is described so evocatively. 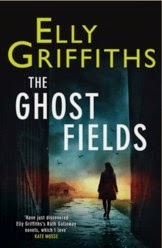 The Ghost Fields is a very satisfying mystery & although I had an inkling about one of the characters, there were still plenty of surprises a second murder & two attempted murders to keep me occupied until the last page. My only problem with Elly Griffiths' books is that I read them too quickly & now I have another year to wait for the next installment. A poem from another war this week. Hardy's Drummer Hodge is about a young Wessex soldier, killed during the Boer War in South Africa & buried under a foreign sky, with "strange stars amid the gloam". I thought of this poem because I read an article in the latest BBC History magazine about the Relief of Mafeking & that reminded me that, in Testament of Youth, Vera Brittain writes that the celebrations for the Relief were among her earliest memories (another coincidence - if you read the article on the Relief in History Today that I've linked to, you'll see another highlighted article, about Somerville College as a military hospital in WWI. Is it any wonder that I spend too much time on the internet when one thing leads to another like that?). The mentions of the veldt, the kopje & the Karoo also reminded me of one of Vera & Roland's favourite books, The Story of an African Farm by Olive Schreiner. I read this many years ago & remember being unimpressed by it. I probably read it in the afterglow of my first reading of Testament of Youth. I feel that I should read it again & see how I feel about it 35 years later. The extra edition of Shiny New Books (which used to be called the Inbetweeny) is now available & I've reviewed George Sanders' Memoirs of a Professional Cad. I enjoyed reading it very much, especially after reading one of the mystery novels Sanders co-wrote, Crime on My Hands. Both books (as well as another thriller, Stranger At Home, which I've yet to read) have been reprinted by Dean Street Press. Memoirs of a Professional Cad is a witty recollection of the life of one of the great Hollywood stars. Sanders comes across as a melancholy man with his pose of cynicism and his sardonic turn of phrase. His musings on everything from why actors want to win an Oscar to the advantages of fame (good tables and excellent service in restaurants seems to be the highlight) are told with panache but there’s an underlying sadness in the writer that left me feeling rather melancholy myself. Other highlights of the extra edition of SNB include reviews of The Youngest Lady In Waiting by Mara Kay (one of my favourite childhood reads, now reprinted at last), The Ghost Fields by Elly Griffiths (just read this, one of my favourite crime series), Great Shakespearean Actors : Burbage to Branagh by Stanley Wells, & a tribute to Ruth Rendell. ... or buy more bookcases & I was never going to stop buying books! 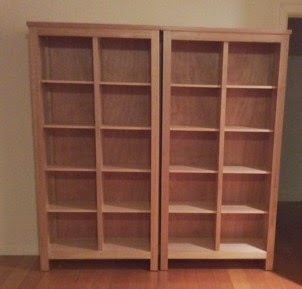 The result is two beautiful Tasmanian oak bookcases. They're standing just inside the front door. My living area is open plan so they're in the place a hallway would be if I had a hallway. & this is how it looked when I'd finished. There's room for books to be shelved from the tbr shelves as I read them. Moving the alphabetical sequence round was easy. 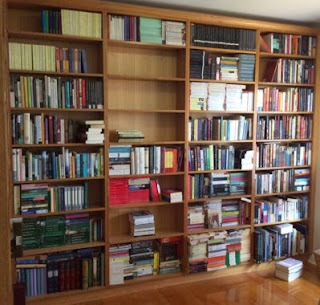 The really difficult part was rearranging the tbr shelves. 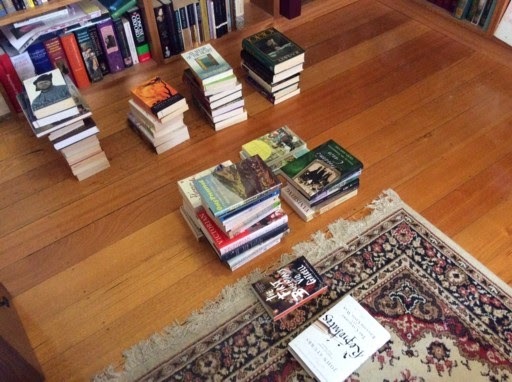 I have the tbr arranged by imprint or by subject. I like to keep my favourite publishers together - Persephone, Greyladies, Slightly Foxed, Virago, Hesperus, Canongate, Girls Gone By, Vintage, British Library Crime Classics, Folio Society, Oxford & Penguin Classics - & then I have sections for literary criticism, biographies, letters & diaries & history (in chronological order by country, of course), general fiction & crime fiction. The shelves had become a bit mixed as I desperately tried to fit a few more books on to already overcrowded shelves. In the end, I had to put some books on the floor in categories to see where I needed to make space. This is where I left it when I stopped for a cup of coffee & a rethink. Here's the end result. It was a relief to go to work on Monday for a bit of a rest. This is such an unusual book, a mixture of exploration of the far north, the minutiae of flying a seaplane & a possible reincarnation experience reaching back to the Vikings & the time of the Icelandic sagas. An Old Captivity (cover picture from here) is the story of an archaeological expedition to Greenland. Pilot Donald Ross has spent time flying seaplanes in the far north of Canada. 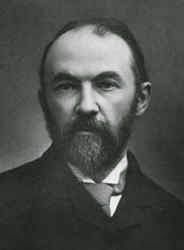 When he returns to England, he is offered a job flying a seaplane on a survey commissioned by Oxford don, Professor Lockwood. Lockwood's industrialist brother finances the expedition & Ross, once approved by the Lockwoods, is given carte blanche to order a plane & organize everything they'll need. He sees this job as a great opportunity, a stepping stone to more lucrative work. Professor Lockwood's prickly daughter Alix, is not so impressed with Ross. She suspects him of inflating the cost of the expedition & taking advantage of her unworldly father's enthusiasm for surveying the remote location. Ross is equally unimpressed with Alix & is disconcerted when Lockwood announces that his daughter will be accompanying them on the trip. A photographer, Jameson, will meet them at Greenland but, until then, Ross has to do all the work involved with flying & maintaining the plane. The Lockwoods soon realise just how much work Ross has to do & regret that they hadn't insisted on an engineer taking Alix's place. The testy relationship between Ross & Alix gradually thaws as she begins to appreciate Ross's abilities & begins to help him as much as she can. After adventures including an unexpected night at a native settlement, they reach the town from which they'll set off on the survey to discover that Jameson has a broken leg & can't make the trip. Ross & Alix quickly learn to operate the camera & take the survey photographs. Ross is a conscientious & methodical man. His constant worry about the work he has to do & the responsibility of the plane interfere with his sleep. He's given a bottle of sleeping tablets by a chemist in Reykjavik & he soon finds he can't sleep comfortably without them. On reaching the settlement in Greenland, they make camp at a location where earlier settlements had long since vanished. Their native workmen refuse to sleep at the camp & move to another place a mile away. All they will say is that they're afraid to sleep where the old people once lived. The survey work goes well, the weather is in their favour & Ross & Alix become closer as Ross realizes that he's fallen in love. One night, Ross falls asleep after taking three sleeping tablets & falls into a coma that lasts 36 hours. Spooked by the tales of the old people, the Lockwoods manage to move Ross to the other camp &, gradually, he regains consciousness. He tells an amazing story about a dream he'd had while he was unconscious, a dream where he was a young Scotsman, Haki, taken as a slave by Viking raiders. He becomes a member of Leif Erickson's expedition to Greenland & then on to Vinland, the almost mythical settlement on the coast of North America. The dream is so vivid that Ross is constantly thinking of it. In the dream, he's accompanied by a young girl, Hekia, whom he equates with Alix. On the final leg of their journey home, they cross the Atlantic to Canada & then, down the coast of Massachusetts towards New York. Ross is suddenly convinced that he's found the place the Vikings called Wondersward &, when they land to have a look, he recognizes everything, including a place that was special to Haki & Hekia. Alix begins to wonder whether Ross's experience was just a dream or something more uncanny. The story begins with one of Shute's framing stories, a device he often used. Ross is on a stranded train in Europe & tells his story to a fellow traveller, a psychologist. Shute must have forgotten how he began the story because we never return to the stranded train & the viewpoint of the story isn't just Ross's which it should be if he's telling his story as he experienced it. However, that didn't bother me too much. I enjoyed the story very much - the early scenes in Oxford with Ross & Alix irritating each other while Lockwood is completely focussed on his research without any idea of what such a trip entails. I love novels set in the 1930s, with all the assumptions about class & privilege. Alix Lockwood looks down on Ross & her middle class assumptions about him & his abilities were typical of the period. It certainly sets up the combative relationship between Alix & Ross very well & contrasts with the slow dawning of respect that she feels for him when she realises how naive she & her father had been. I also loved Donald's Aunt Janet, who had brought him up on her meagre earnings as a teacher. As always, Nevil Shute writes about the work of pilots & engineers with authority. Sometimes, I admit, the endless detail about fitting out a seaplane, filling the engine, changing the plugs, became a little mind-numbing, but the story was fascinating. The scenes in the north reminded me a little of Michelle Paver's Dark Matter, a terrific ghost story that I listened to on audio read by Jeremy Northam. A young man is left as the only member of a scientific expedition to a remote station where something horrible happened in the past, something so dreadful that it left an enduring impression on the landscape & the atmosphere of the place. It was a story that left me with such a feeling of dread, I don't think I could have read (or listened) to it at night. I listened to An Old Captivity on audio too, read by Cameron Stewart. He did a good job narrating the story & his male voices were fine but Alix's voice was dreadful. 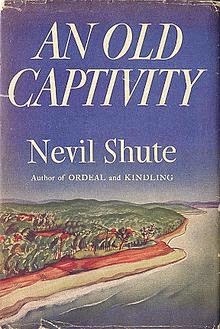 Still, the lure of the story kept me listening & I'm keen to go on reading more of Nevil Shute's novels. I finished rereading Testament of Youth last week so two more poems, both quoted in the book, before I move on to something else. 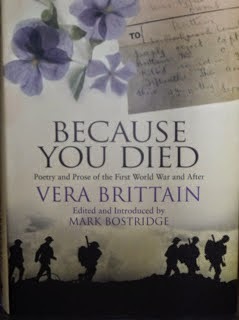 Vera quotes this sonnet by Rupert Brooke, Suggested by some of the Proceedings of the Society for Psychical Research, in the aftermath of Victor's death. He was blinded at Arras & Vera returned home from nursing in Malta with the idea of marrying Victor & looking after him. However, Victor died soon after she returned &, as she admits, such a marriage would have been a disaster for both of them. In 1919 Vera returned to Oxford to take up her studies. After four years away, she felt lonely & depressed. She was also suffering from what would today be called Post Traumatic Stress Disorder. She had dreams of Edward & Roland returning or that they were still alive but so badly wounded that they didn't want to be seen. She also had hallucinations, imagining that her face was changing & that she was growing a beard, like a witch. This almost unbearably sad poem, Boar's Hill, October 1919, was written at this time & later published in the 1920 edition of Oxford Poetry. Tall slender beech-trees, whispering, touched with fire. Ere your steps turned home? April marked the 200th anniversary of the birth of Anthony Trollope & there have been articles galore (just google Anthony Trollope 200 if you don't believe me). I even found a checklist to count how many of Trollope's novels I've read (22 out of 47 so not quite halfway). To celebrate the anniversary, I'm rereading Miss Mackenzie with my online reading group & I also took Cousin Henry off the tbr shelves. 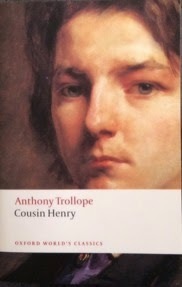 Cousin Henry is one of Trollope's standalone novels. It's not part of the famous Palliser or Barsetshire series & it's not a blockbuster like The Way We Live Now or He Knew He Was Right. It's short by Trollopian standards (under 300pp), has no subplots & is an acute psychological study of guilt & indecision. The plot is easily told. Mr Indefer Jones, owner of Llanfeare on the coast of Carmarthenshire, is an old man. He has no children & is undecided as to what he should do with his estate. He has made many wills as he dithers between leaving the property to Henry Jones, the next male heir, or to his niece, Isabel Brodrick. Henry Jones is a clerk in London, a very unprepossessing young man with no real vices but he just fails to please. On the other hand, Isabel is the darling of her uncle's eye. She has lived at Llanfeare for some years, mostly to get away from her unsympathetic stepmother. She is loved & admired by all the tenants on the estate & she loves them & the estate in return. However, Uncle Indefer's conscience inclines him to leaving the property to Henry & to leave £4000 to Isabel. Isabel is a noble, proud girl who would scorn to try to influence her uncle in any way. She leaves him to wrestle with his own conscience & never reproaches him. His lawyer, Mr Apjohn, has remonstrated with Uncle Indefer about disinheriting Isabel but to no avail. The only result has been a breach between lawyer & client which contributes to the misery that follows. The final will seems to be the one leaving Llanfeare to Henry. He has been brought down to visit his uncle in the last months of his life & introduced to the servants & tenants, all of whom take an instant dislike to him. When Uncle Indefer dies, there's talk of a later will, favouring Isabel, having been written & witnessed by two of the tenants. Isabel was with her uncle when he died & he told her that he had made such a will. Mr Apjohn knows nothing of it because Uncle Indefer refused to consult him about it. However, he had told Henry of the will & showed Henry where he had hidden it, in a volume of sermons in the library. After the funeral, the tenants tell their story of witnessing a new will but Henry stays silent. As no later will can be found, the will favouring Henry is read & must stand. Isabel immediately makes plans to return to her father's house in Hereford. Unfortunately the £4000 her uncle bequeathed her doesn't exist because the old man sold the land that was meant to provide the cash. So, she returns home with nothing. Henry is persuaded by Mr Apjohn to offer Isabel the money as soon as he can get it but she scornfully refuses him. She suspects that Henry knows the whereabouts of the later will. She despises him & has no reservations about telling him so to his face. Isabel is in love with William Owen, but her uncle didn't think a poor clergyman was good enough to marry his heir so Isabel has refused him. Now that she's poor, she refuses to marry him because she's too proud to go to him with nothing. Isabel's father & stepmother don't see why she shouldn't accept Cousin Henry's offer of the £4000 & marry Mr Owen but she refuses. She hates living with her family but her father won't allow her to earn her own living. Henry, meanwhile, is at Llanfeare. He is tortured by guilt & paralysed by indecision. He knows where the will is hidden, & he can't bring himself to leave the library in case the will is discovered. He knows he should confess & produce the will but he can't. He vacillates between planning to tell all & wallowing in self-pity about his treatment & his dislike for Isabel. He's despised by the servants, who all give notice, & he's too cowardly to go about the estate because he fears the wrath of the Cantors, the tenants who witnessed the will. So he skulks around the house, afraid to leave the library in case the will is discovered but wishing someone would find the will to extricate him from the torment he's suffering. Mr Apjohn suspects Henry of knowing about the will but can't prove anything. Without the will, nothing can be done. Then, as rumours spread about the will & about the injustice suffered by Isabel, the local newspaper, the Carmarthenshire Herald, prints a series of articles questioning Henry's honesty & his right to the estate. The editor hopes to provoke Henry into a libel action that would see him cross examined in court about the will & exactly what he knows about it. Could Henry commit perjury by lying in court or the even more serious crime of destroying the will? Mr Apjohn enlists Isabel's father & the two men decide to confront Henry & try to prove Mr Apjohn's theory about the will. Cousin Henry is such an interesting character study. Henry is a coward, snivelling & self-justifying. He spends most of his time cowering from imaginary blows, vacillating between opposite courses of action, avoiding the servants & tenants & crying with self-pity over his situation. However, he's not altogether an unsympathetic character. Uncle Indefer doesn't help by openly disliking him & preferring Isabel. The tenants take their cue from him &, of course, Henry has never had an opportunity to get to know the estate. He's bullied by everyone from Mr Apjohn to the Cantors, despised by Isabel, but he's not evil. He could have destroyed the will & brazened it out but he doesn't do that. He does have a conscience but his fear of the consequences of almost any course of action leave him doing precisely nothing. Isabel is an even more interesting character. Proud & prickly with a streak of masochism (she plans to work as a housemaid or starve herself rather than accept Henry's offer of money), Isabel prides herself on her moral rectitude. She refuses to blame Henry publicly, even though she is sure that he knows of the later will. She declares her love passionately to Mr Owen but then refuses to marry him. She drives her stepmother mad by standing on the moral high ground, refusing Henry's money, refuses to marry Mr Owen while she can bring him nothing &, as Mrs Brodrick puts it, taking the boots from her own daughters' feet as her husband has to provide for his ungrateful daughter. I sympathized with Henry & Isabel but was furious with Uncle Indefer for being such an old ditherer & creating such a mess. As Mr Apjohn says, the danger in owning property is in leaving heirs & tenants in ignorance of what is to come afterwards. I enjoyed Cousin Henry & I'm looking forward to reading more Trollope in this anniversary year. 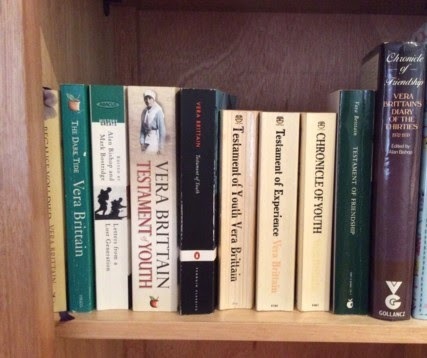 I'm rereading Testament of Youth again after seeing the new movie version last weekend. I enjoyed the movie, Alicia Vikander was wonderful, & the changes to the story didn't irritate me as much as I thought they might. But, it didn't affect me emotionally as reading the book always does. It's been a few years since I last read it & I find something different in every reading. This time, I'm noticing how much foreshadowing Vera does in her telling of her story. The shadow of Roland & Edward's deaths are there from the very beginning & I wondered how much the first readers knew of her story before they read the book. She certainly doesn't lead up to the tragedy gently by painting a picture of pre-war paradise. Maybe that's what makes reading Testament of Youth such a personal experience. I'm up to December 1915. Vera is nursing in London & about to go on leave to meet Roland in Brighton but she won't be meeting him because he dies of wounds just before he was due to go on leave. I don't know when Vera wrote this poem, but I think it would have been very soon after Roland's death, the feelings are so raw.